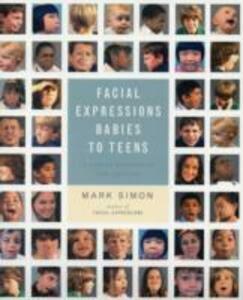 Mark Simons very successful, "Facial Expressions" has been followed up by "Facial Expressions: Babies to Teens". In this next work, he compiles a dazzling array of over 2,500 photographs of 50 babies, children and teens, (of a variety of ages, shapes, sizes, and ethnicities) demonstrating every human emotion through facial expression. This book is perfect for artists, animators, cartoonists - anyone who needs to capture any look from babyhood to age 19. With extra sections on anatomy, hats, and close-ups of phonemes, plus a remarkable age-progression gallery; "Facial Expressions Babies to Teens" is an authoritative title that artists can truly depend on.